Tawilis is a one-of-a-kind fish that is endemic to Taal Lake in Batangas. You can’t find this anywhere else in the world. 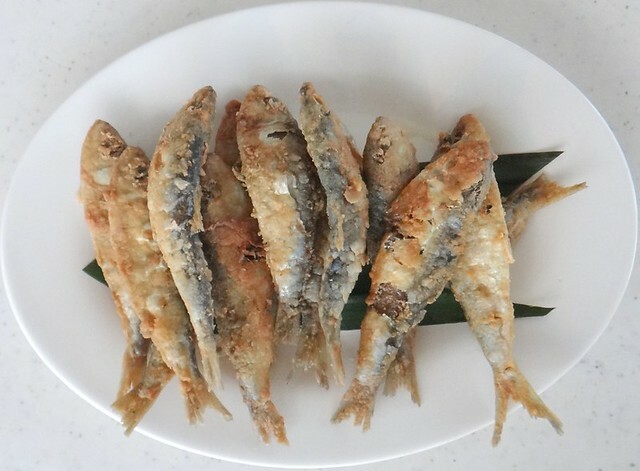 It is the world’s only freshwater sardinella (small sardines) believed to have evolved from a marine sardinella species in Balayan Bay. Taal Lake was formerly an extension of the bay, but was completely separated from the marine waters after a series of large volcanic eruptions in the 18th century, thereby restricting the fish within the lake and turning them into an entirely freshwater kind. Researchers identified Tawilis being related to Taiwan’s and Northern Luzon’s marine sardinella based on their morphology and DNA sequences. The difference is that Tawilis are smaller, more slender and with very thin scales. Aside from its interesting evolution, Tawilis is a sought-after delicacy in Batangas and also in Tagaytay where you can get an overlooking view of Taal Lake. This fish is prepared or cooked in different ways and the most popular recipe is Crispy Fried Tawilis. Deep fried with some batter, seasoned with salt and pepper—this Tawilis recipe is to die for. I don’t even need any dipping sauce or salsa for it. It is available on their menu any time of the year as the fish breeds all year round. However, due to the high demand of Tawilis to be served in restaurant tables, this prompts overfishing. What’s more: after Tilapia, another commonly sold freshwater fish, was introduced in the now silted Taal Lake, the population of endemic Tawilis was further reduced being a competition of smaller Tawilis for algae food. Given the overfishing and the introduction of invasive Tilapia, it is very disappointing to learn that Tawilis is now classified as an endangered species.